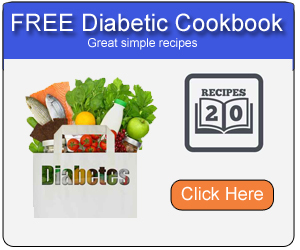 Type 2 Diabetes results from your body not making enough insulin or using it well. Balancing diet, exercise, and medicine can keep your blood glucose in a healthy range. Diabetes is a condition in which the body either does not manufacture sufficient amounts of insulin or does not properly use insulin. Insulin is a hormone made by the pancreas that is necessary for the transport of sugar from the bloodstream into the cells for use as energy. Type 2 diabetes results when our bodies become insensitive to insulin and cause our blood sugar go out of balance. For this reason, we want to do everything we can to remain insulin sensitive. When we are insulin sensitive, our bodies do a much better job of moving glucose from the blood and into cells. Various herbs, foods, vitamins, and minerals have been shown to promote insulin sensitivity and help maintain proper blood sugar levels. Vanadyl sulfate increases the bodys insulin sensitivity. Gymnema sylvestre is a well known herb helpful in blood sugar control by controlling sugar cravings and nourishing the pancreas. Another important factor in maintaining proper blood sugar levels and insulin sensitivity is a healthy diet. Complex carbohydrates found in most vegetables, apples, grains, and nuts are slow to digest. Slowing the process of digestion promotes healthy blood sugar levels and avoids the highs and lows associated with the intake of refined sugars. You should also avoid saturated fats. The healthy fats contained in fish, olive oil, and flax seed help us to maintain insulin sensitivity. Exercise also increases insulin sensitivity. People involved in athletics are known to require less insulin. Besides improving insulin sensitivity, exercise helps us to control our weight and reduce body fat. Weight control is a very important aspect in maintaining insulin sensitivity. Type 2 Diabetes is the most common form of diabetes. The above methods have been shown to be extremely helpful in maintaining insulin sensitivity, promoting lower blood sugar levels, and avoiding the complications associated with diabetes.